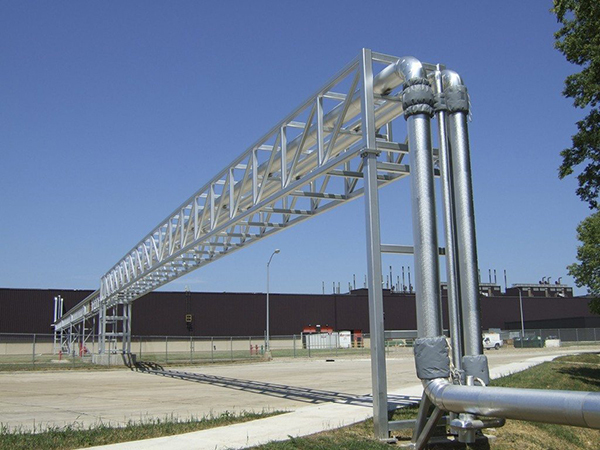 A 1,500-foot run of piping provides steam for both building heat and manufacturing processes at this engine plant. 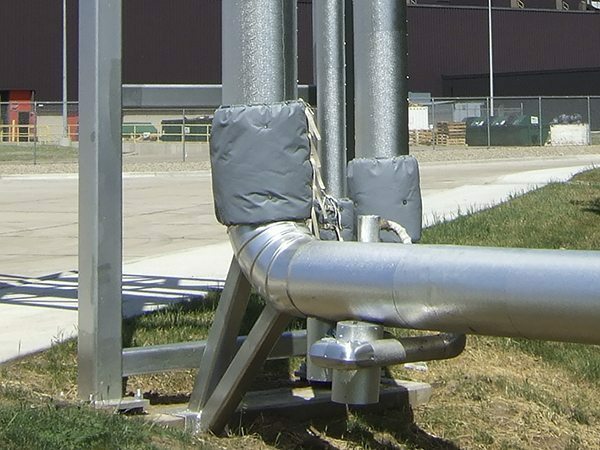 When its lone expansion joint failed, the company needed a replacement solution—one that could be installed without affecting production. 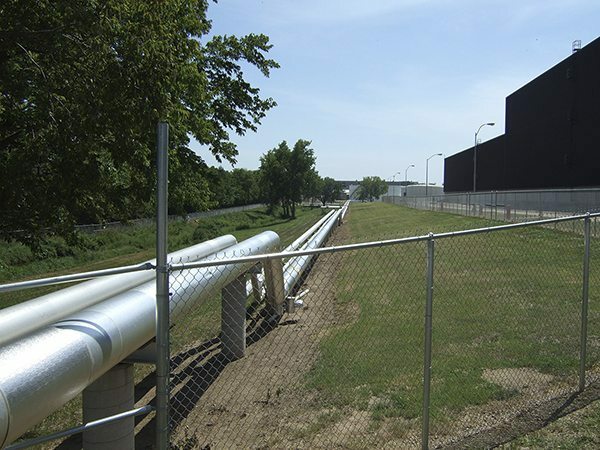 To replace the failed joint, we installed two sets of U-bend joints along the steam piping run and replaced expansion joints in the vertical section. Increasing the number of expansion joints reduces movement and stress along the pipe, which should result in longer life. To avoid unplanned production losses, we worked closely with the general contractor to schedule most of the construction and installation work over the course of multiple weekends. That way, facility personnel were able to schedule 24- to 48-hour outages that didn’t impact production.